This machine is widely used in electronics, packaging, plastic, printing and other industrial fields. 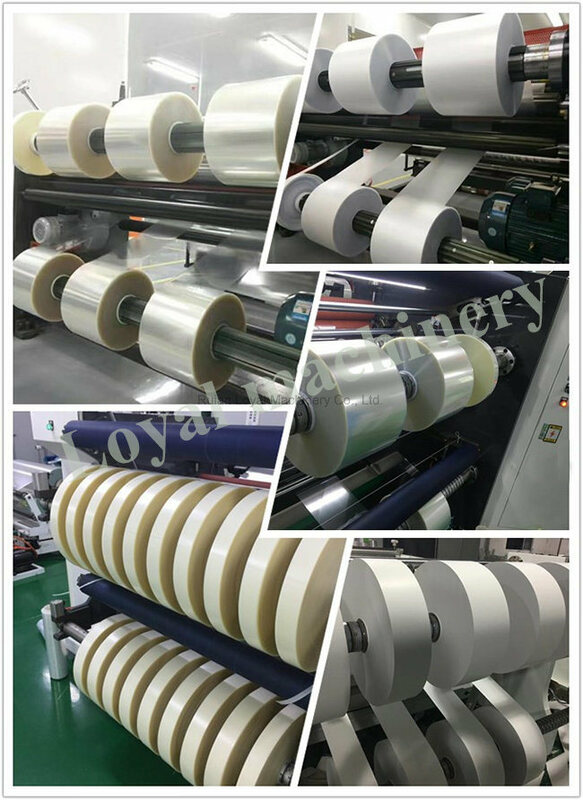 Applicable to the electronic protective film, optical film, copper foil, aluminum foil, OPP, PE, PP, PVC, paper, film, etc. slitting and processing. The machine also can achieve automatic inspection, automatic correcting and automatic counter in once process. This machine is high precision and high sensitivity slitting equipment. Receiving and discharge materials are used high-precision air shaft. The tension be controlled by magnetic powder brake and clutch. 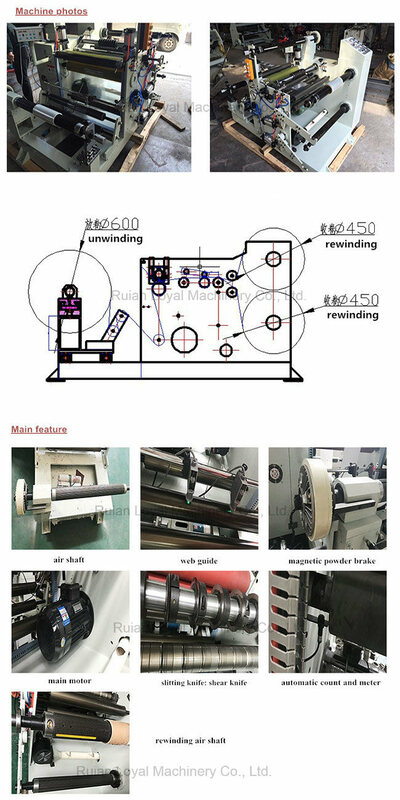 Unwinding web guide using photoelectric rectification, to achieve automatic detection ,Â automatic correction, automatic meters, anti-scratch materials, set the length of automatic parking, alarm, with fast, accurate cutting, simple operation and so on. 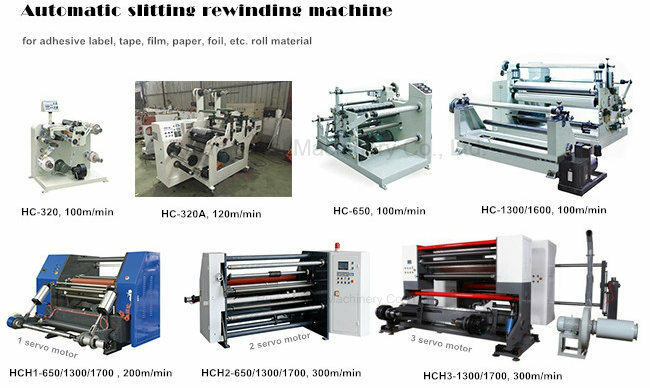 This machine's sticking and slitting can be done at one time, and sticking or slitting can be done solely,enjoying characteristics such as fast slitting speed, easy of operation and maintenance. Mature and experienced technical team. Continuous learning, R&d and innovation meet CE and TUV. Using effective and high pricision slitting. Steel plate heavy machine body(60mm). Ensure machine runs smoothly at high speed. User-friendly control and long service life. High tech and quality components. Quality is our life. From the very beginning to very end Loyal people attach great importance to quality controlling and repeated testing before deliver. -------Time is money, we providing quick, responsive, most precise service. 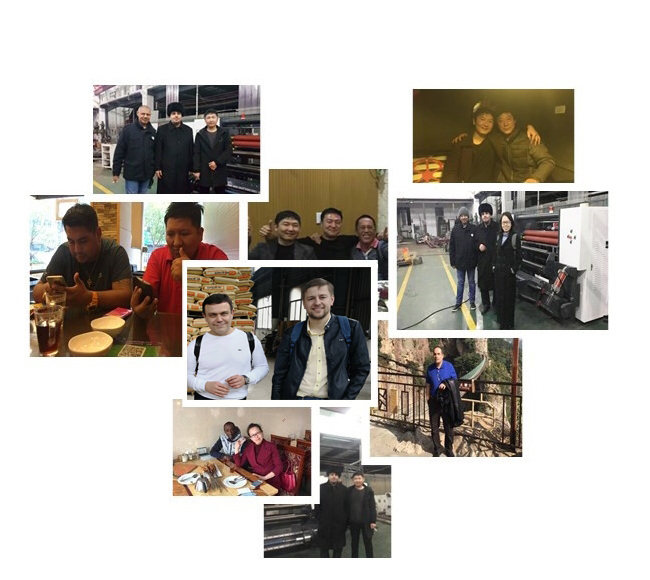 -------Only when customers get success can LOYAL Company be developed, We treat every customer seriously and provide technical support for whole lifetime. ------Loyal relationship is difficult to establish,we only loyal to our customers, time will tell you we are reliable,helpful and loyal! Is your company aÂ factory or aÂ trading company? Where is your factory? How can IÂ visit your company? About 40 minutes from Wenzhou airport. How can I know which machine is the most suitable for us? -material thickness, usage for determine the machine type. -material width, unwinding and rewinding diameter, speed demand for determine the machine model. We are looking forward to support you the most ideal machine! I never use this machine before, how can I use it well? -We will provide English machine munual. -Before machine delievery, warmly welcome to our factory for free trainning. -If necessary, oversea service is available. Will you arrange shipment for the machine? How about machine install and after-sale? 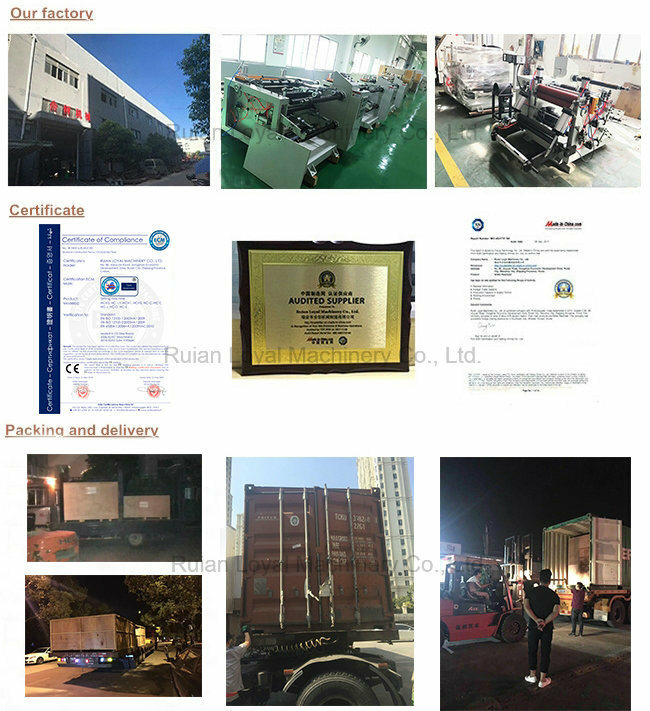 -1 year quality gurantee, if any problem occured by machine quality we will send the parts for free. -We also provide lifelong technical support .